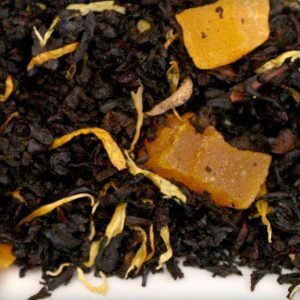 Ginger Peach Black Loose Leaf Tea Blend is an Indian origin tea is a naturally sweetened with sweet, juicy, tropical peach and spicy ginger pieces. Black tea provides a robust base for the beverage, besides being delicious, contain nutrients like vitamins, minerals, and digestive enzymes. 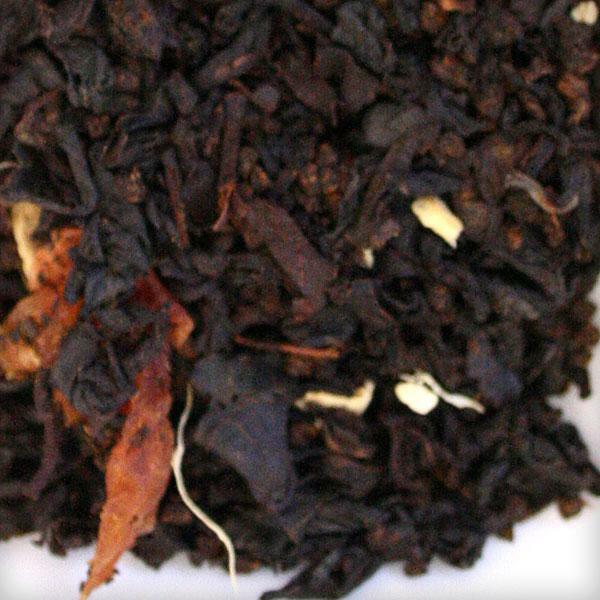 Ginger pieces enliven this tea with an interesting spicy bite. Ginger helps ward off cold and flu, soothes an upset stomach and cleanses the palate. Both ginger and black tea steep well with milk and produce satiny smooth, hearty liquor. 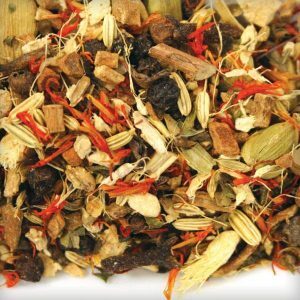 It makes excellent hot winter tea, or a chilled summer drink. Soak in its enticing aroma and rich mango essence. I found it to be a wonderfully invigorating cup of tea that I could sip any time of the day. A delicious fruity mango flavor blended with fresh ginger makes for an enchanting combination. The ginger leaves a lingering bite in the mouth and brings refreshing vitality to this tea. Of all the blends I have tried so far, this is definitely the best. You try it once and you will be in love with it instantly. 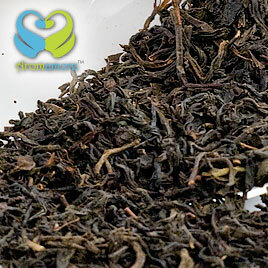 The highly aromatic black teas is one of the best black fruit teas that I have ever had. You will notice the aroma as soon as you open the packet. It is obvious that after the sweet aroma you will definitely expect it to taste awesome. And yes, the tea fulfils this expectation too. I love this blend. The sweetness of tropical mango combines nicely with the tingle of ginger. I like to have it both in summer and winter. In summers, I prefer taking the iced flavor with a few drops of honey. It subdues the hot spicy character of ginger and brings forth the cool mango flavor. However, in winter I prefer the steaming hot brew with some milk. Ginger’s hot and spicy taste keeps me warm and also wards off cold and flu. 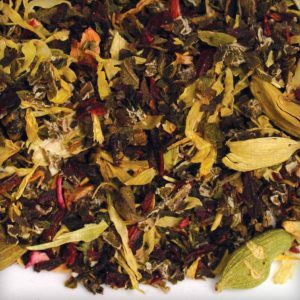 I don’t know what others have got to say about this tea, but Primatea’s peach mango black tea is simply marvelous. Now, I usually keep on spending money for some specific brand product, but then I came across ginger peach black tea. I went ahead on buying the tea and I must say, the goodness of this tea had me. I’m a big fan of black tea and peach as well. The mixture of this tea is what makes the tea so special. The black tea is well blended with peach and you can just make out from the taste. Although my mom would be disappointed that I switched brands, but hey, this is worth it and you will not regret buying this tea for sure. Little did I know that trying a tea just for fun would turn out to be one of my favorite teas some day. Ginger teas have been my favorite and this time I decided to try a fruity flavor along with it. It has got a great flavor when it is hot but simply marvelous when you try it iced. What you will notice while having this tea is the small pieces of mango in the blend which makes it a unique tea. I prefer to have it twice a day. Fruit tea loves should also try it.